I’m proud to join the #WeNeedDiverseBooks campaign because as an Asian American girl growing up in a mostly Caucasian suburb of New Jersey, I searched for characters who looked like me. 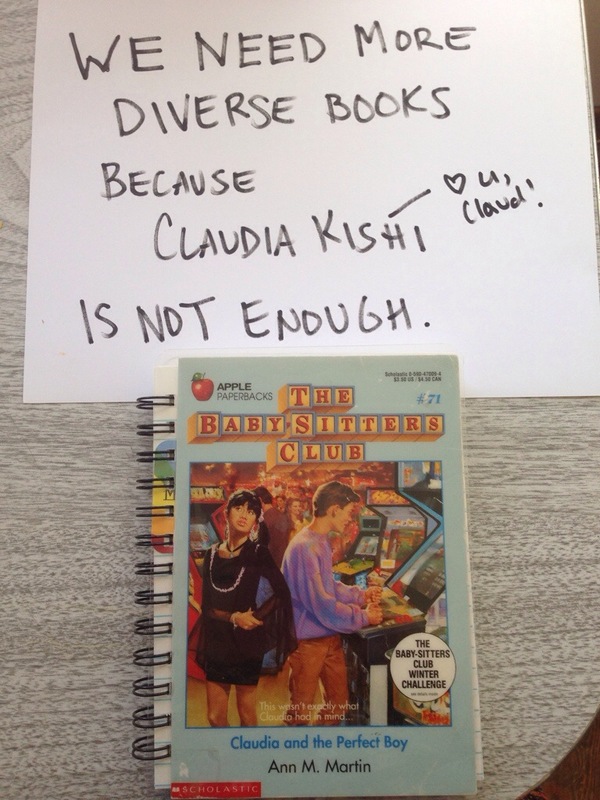 Claudia Kishi, bless her, was my role model. She was creative, quirky, and stylish. I’m pretty sure every Asian girl in the 90s looked up to her. But it’s been a long time since Claudia Kishi. We need more Asian, Latino, black, gay, lesbian, and transgender characters! One of my fellow Regal Literary agent sisters, Kate Hart, put together a survey that revealed 90 percent of YA book covers feature white characters. We can do better. We have to do better. As a writer, I write Asian American characters who aren’t just the friend, math nerd, or sidekick. I’m currently writing a YA book about two Asian American brothers and part of me worries that the book won’t get bought because it’s about Asian boys and has Asian culture weaved into the story. But here’s the thing: As a young reader, I was dying for more than just the Sweet Valley High blonde Wakefield sisters—don’t get me wrong, I loved me some SVH. But I wanted to see girls like me in books. Now as a writer, it’s my job to include those characters—the ones who aren’t written or talked about. Join the #WeNeedDiverseBooks campaign from May 1-3, and make your voice heard! Andrea—yes, you’re right about characters with disabilities and diverse backgrounds. Have you read Eleanor & Park by Rainbow Rowell? She writes great characters who don’t have a lot of money. And I just read Me Before You by JoJo Moyes about a love story between a caregiver and a man who is a quadriplegic. It’s not YA, but it’s beautiful, honest, and amazing. Very cool and I could not agree more! Angie: Any good YA books that you’ve read lately? I’m always adding to be to-be-read pile! I read Eleanor & Park last month and adored it! I want to read more of the author’s books now. I highly recommend it. I think diversity in books, especially YA books, is important, because when someone is reading a book, it’s amazing if they can identify or see similarities in the characters. I know there’s a lot of characters that probably look like me (caucasian girl) out there, but it really isn’t that way for a lot of other people. Finding books that have lead characters that embrace and showcase diversity is so important. Thanks for reblogging and spreading the word! We need diversity in YA now!